The online world had rendered so many great things to us and blogging is one of them. Whether you want to be heard out there, have your products sold or endorse someone else’s, or simply create a portal to inform people about what you do and why they should hire you for your services, blogging can always come in handy. However, my question is that is there any way you can start a blog for free? And my honest answer is YES. How to Blog for Free? Blogging is a versatile term that encompasses everything from advertising to journalism. So, before we could go on to know how to blog for free, you should know that doing so is not in your favor if you want to create a business blog or product portal. If you’re simply doing that for fun, then it’s okay to go free!! You don’t need to own a blogging platform or domain to do simple thought sharing. You can still monetize your blog. You’ll have all the necessary tools there for you, which means you don’t need to have additional technical knowledge. Creating a free blog should be focused. First of all, you should understand what you want to blog about and then go for the right free platform. This will help you narrow down the scope of your blog and thus, to target audience to it in a better way. Personally, I can say there are many free platforms to use for hosting your blog. You might know about the good old Blogger, but many other platforms have been launched, as well. Here are some platforms you can use to create your first blog right away. 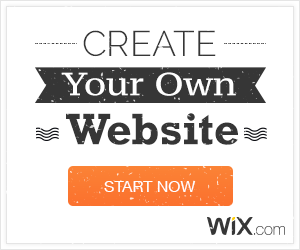 Recently launched, Wix is like the style diva of the free blogging platform. More than that, it is the simplest and easy to use platform out there. You only have to drag and drop things to create a visually compelling blog. Thanks to HTML5 to make that possible! This is the platform that separates your content from the visual aspects of it – something which it calls “API first”. So, in the long run, if you decided to move your content to a self-hosted blog, you will be able to do that without any problem. All of your content would be on their servers. Not a recent one and not obsolete as well, WordPress runs almost 30% of the internet. They have everything under their hood, so just go there and start off. I personally feel for journaling your ideas or sharing your thought, Medium can be the best choice. However, it does not allow much customization and you wouldn’t be able to use it if you live outside its “authorized” countries. Once you’ve chosen where you want to create your blog, the next step is to just start creating posts. The frequency of your posts depends on your own inclinations. There is no strict rule no matter what others say. As far as earning from your blog goes, you can do that by signing up for Google AdSense on almost all the websites except Medium. It has a different earning system about which you’ll learn on their website. To conclude, I would like to personally out that to start out with blogging is easy but the real effort goes to being consistent with your blogging. You see to create a professional engaging blog takes a lot of hard work and it’s not a one night magic. Don’t just start a blog with the intent to make money out of it. But you really need to have the right passion about the subject topic your want to start your blog with. And yes, you surely can make a good amount of money with blogging and live a passive income lifestyle. But at the end of the day you really need to put a lot of effort on your blog.